Even for $200, it's garbage and the company who made it pretty much abandoned it so that they could move on to making another camera that they'll probably abandon after people buy it. Manual controls ? 24p? Clean hdmi out? clean 1080p output (see specs above). 24p at 4K DCI. Manual controls. Aperture, shutter, ISO. Autofocus is not good (worse even than GH5 :)). Max 60 Mbps @ 4k. Seems like Yi m43 camera would be better for general usage ... if only Yi had 24p 4K and clean 4K out. sharpening options = "oversharpen footage" or "footage that looks like it was shot through a nylon"
I remember hating their smartphone app too, for some reason, but my Z-Cam has been sitting on a shelf collecting dust for long enough that I can't remember why I hated the app so much. Seconding the recommendation for the Yi. Aside from it already producing a nicer image, the Yi folks are still committed to the camera and releasing impressive firmware updates (the latest one was pretty impressive, even if there's still work to be done). The Z-Camera people switched their focus to their 360 camera and pretty much abandoned the E1. Well, if single shot AF still works if slow, it is enough. Interesting to see same place and same lens comparison with GH4 class camera. On videos I see opinion that it is not worse than Yi M1, if not better. I am not too sure that you will get any update after 3.0 for Yi. And 3.0 has lot of bugs and missing features. They are actually still supporting the E1. The latest firmware update (0.30) was released on October 19. Basically last month so fairly recently. They also say that they might still update it. I haven't plugged mine in since 0.2x came out many months before. When the forum vanished (unless it's moved somewhere and is no longer linked from their website), I assumed that they shut it down because it was almost nothing but people complaining about how bad the camera was/is. This deal was a no-brainer: $199 for an m43 camera selling for $499 or $599, and a 30-day return policy. You can take the deal and sell the camera for a profit if you don't like it. Or buy 10 and undercut the sellers. So, yes, I bought one. I have mft lenses and have access to a GH4. So, I can compare. I am used to lousy continuous AF on all Panasonic cameras. 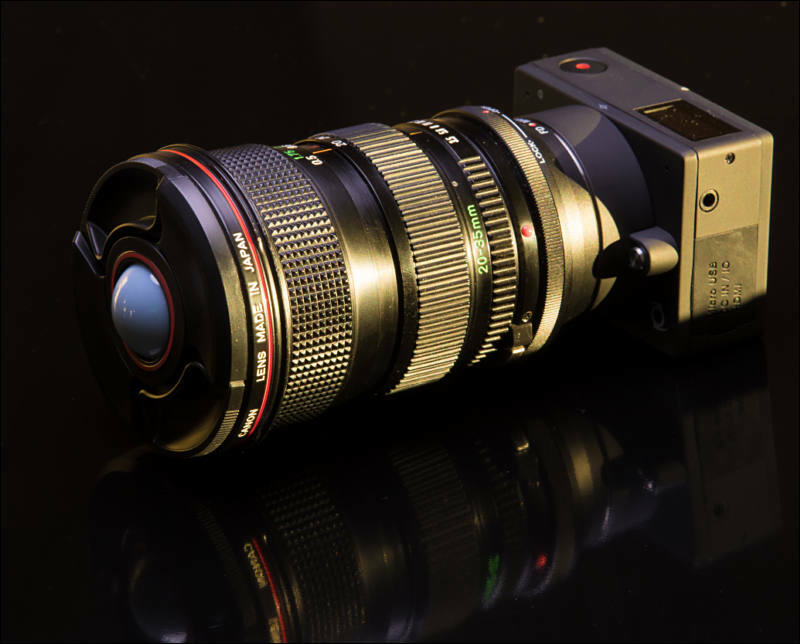 But if this camera is ok, then one can have a gimbaled relatively large sensor camera that is light and portable. One can move with the camera! My faith in Chinese companies producing their own cameras with standard parts (like big-company sensors) that are real deals was upped by my experience with Yi: it's 4K+ action cam beats the GoPro 6 in IQ and is half the price, and so does its 360 camera beat the GoPro Fusion, at 57% of the GoPro price (although I am not sure its m43 offering is a bargain). I dug mine out and charged it - I had firmware 0.26 on it - I think that was from around the time when they shut down their forum. I think the current special price of the Yi M1 that includes both a zoom and a prime lens is pretty decent for $322.99 (Update. The price just increased to $350. It was $322.99 when I originally wrote this post) The 42.5mm f/1.8 lens alone usually sells for $199 although it was $99 very recently but the price just went up to the original $199. Now that the $199 deal for the E1 is over, the Yi M1 can be an alternative for anyone who wants a very cheap M43 camera as long as they aren't expecting too much for that price. Definitely pluses and minuses between both camera. The Yi M1 has a touch screen and standard SD card slot while on the E1, it's not a touch screen and it has a micro SD card slot. A benefit of the E1 is obviously the fact that it's a little smaller and has a 24p 4K DCI option with slightly more resolution. A question mark is the low light capabilities and auto focusing between the 2 cameras. I guess I'll have to wait and see since I'll also be getting it. I'll be comparing it with the Yi M1. Debated with myself over getting it and then finally decided that I should have once the deal was over. Was able to talk to a B&H rep over the phone yesterday to see if I can still get the deal and in the end, they allowed it. I can definitely use another 4K angle for some of the kinds of videos I shoot including music videos. I might also add extra angles to videos of events that I sometimes shoot around Boston. Now to hope the manual controls on the E1 will be easy to set. It's very easy on the Yi M1. Only major issue now (After the recent firmware update) is the fact that you can't see how the video will truly look in full manual mode until after you hit record. Basically if you increase the ISO on the Yi M1, the picture doesn't get brighter. Stays the same. You'll only see how it truly looks until after you hit record. Good news is that you can still do adjustments once you hit record but that's annoying. Yi have fixed some bugs already so hopefully they'll still release a newer firmware update that fixes that. I think the chances are very good that we could see both Yi and Z Cam releases successors of the M1 and E1 in 2018.. Perhaps the new versions could have the same sensor that is in the GH5 and offer 4K 60p. B&H have reduced the price of the E1 again. It's now $250. $50 more than the previous special price but still not bad. Perhaps it'll stay at that price. People will need to order it quick just in case it doesn't stay at that price. It might just go on a dog walk shortly! 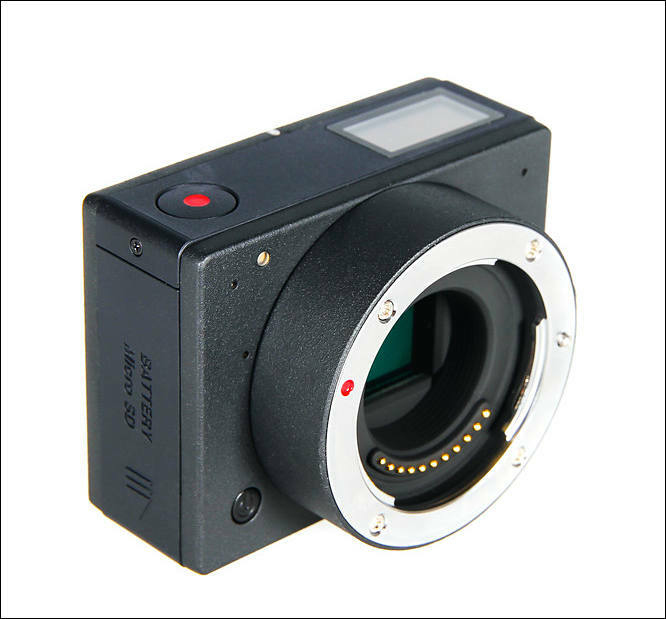 Very good POV with interchangeable lense for price with 4k posibility. But just a negative point. This cam doesn't work with MFT panasonic lenses. Focus and aperture not available. This cam doesn't work with MFT panasonic lenses. Focus and aperture not available. If you look at camera page they have list of working Panasonic lenses. I just gave mine another try today in a sort-of shootout with bunch of other cameras. The picture quality has definitely improved from firmware 0.2.6, but the noise is still pretty bad in shadows (I was noticing it a lot at ISO 500) and moire in my shirt was really bad. I think it's graduated, though, to being a camera that I could throw in a bag and leave attached to a lens doing a time lapse or catching bts footage or something if it's a fairly bright day outside.